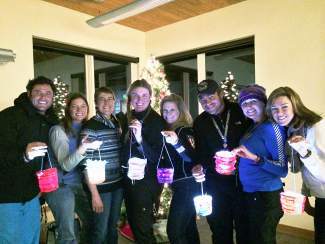 Art in Public Places is hosting a free paper lantern making workshop so you can participate in the illumination festivities at the Vail Holidaze Tree Lighting in Slifer Square on Dec. 22 at 5 p.m. Local paper artist Helen Hiebert will instruct a workshop for all ages on Sunday, Dec. 22, from 2 to 4 p.m in the Vail Public Library community room. Learn how to create your own paper lantern to bring to Vailâs tree lighting. The workshops and LED battery lights to illuminate your paper lantern are provided courtesy of AIPP Board Chair Doe Browning. Reserve your spot by calling Molly Eppard, AIPP coordinator, at 970-479-2344 or email meppard@vailgov.com.